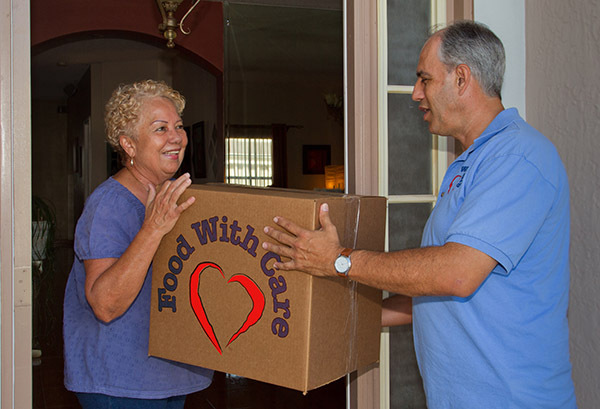 Since 1998, Food With Care, Inc. has provided home-delivered meals to Florida communities statewide. Our appetizing and nutritionally-balanced meals are made by our chefs and created in coordination with a registered dietitian so that we can provide healthy meals to accommodate a variety of dietary needs. Our meals are delivered frozen and are microwaveable. We offer a selection of entrees including breakfast, lunch, dinner, and soups. Each meal is assigned a dietary category based on the specifications of a registered dietitian including Diabetic, No Added Salt, Low Fat/Cholesterol, and Renal. We also offer a selection of Puree Items. Please see our menu for the full selection of items available.